This easy dip takes 5 minutes to make and is jam-packed with flavor! The longer you let the ingredients marinate, the bolder the flavor, which is why I prefer to let mine stay in the refrigerator over night. Mix cream cheese, dressing, and beer until you reach your desired creamy consistency. Stroganoff is the epitome of what we view as Russian food. I took a Russian staple and decided to make it healthy. 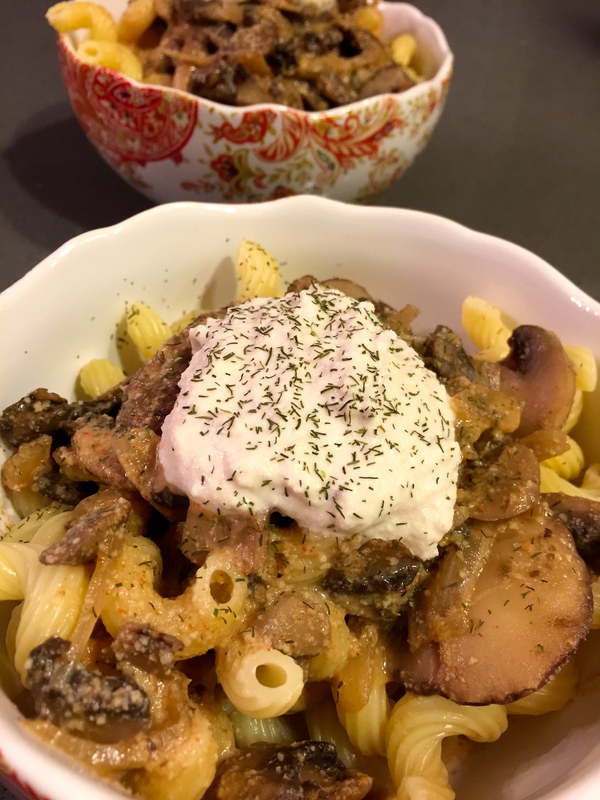 I found this recipe for mushroom stroganoff and decided it would be a great alternative to the typical beef stroganoff. This recipe is also dairy-free! Place cashews in a small bowl and cover by about 1 inch with boiling water. Let soak 30 minutes. Drain, discarding soaking liquid. In a blender, combine cashews, 1/4 cup water, vinegar and salt, and blend until smooth; add more water a tablespoon at a time as needed to make a cashew cream. Stir in remaining broth, mustard, paprika and pepper. Bring to a boil, lower heat, and simmer until mushrooms are very tender and sauce is thickened, about 25 minutes. Stir in 1/2 cup of cashew cream. Sprinkle with parsley and serve over pasta or rice with the remaining cashew cream on the top. I took my 4 favorite ingredients and put them into 1 casserole for a delicious dish, and vuala! Preheat the oven to 500 degrees. Cube the sweet potatoes and add them into a bowl. Mix in the garlic olive oil, rosemary, and thyme. Roast the potatoes for 30 minutes at 500 degrees. Meanwhile, shred the brussels sprouts. Add a tablespoon of olive oil to a pan and heat up the brussels sprouts until they become a bright green color and start to soften. 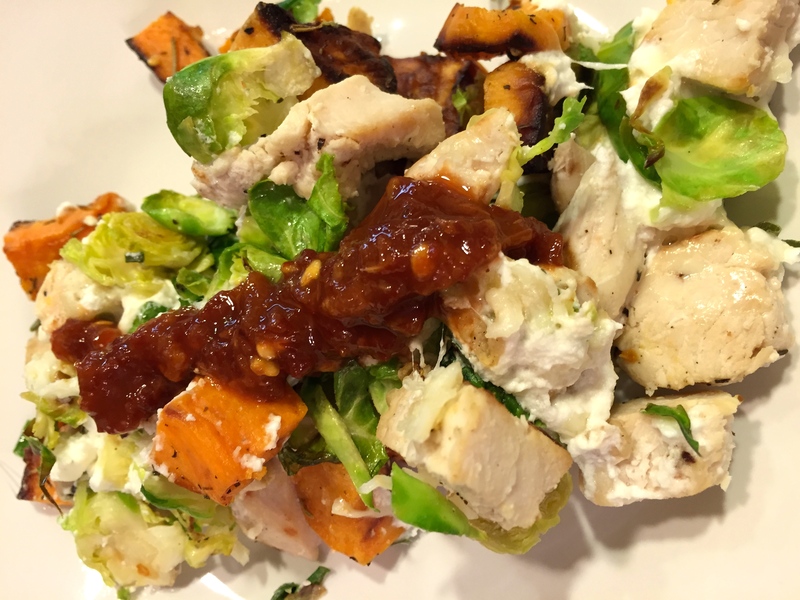 Set the brussels sprouts aside and add the chicken to that same pan. Heat up the chicken until cooked through. Once the sweet potatoes come out of the oven, reduce the oven to 350 degrees. Now it’s time to layer up! 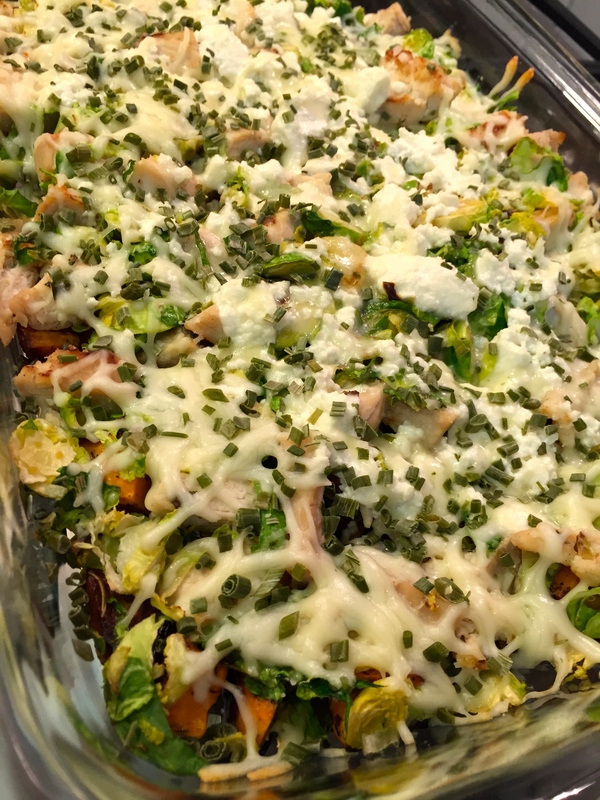 In an oven safe casserole dish layer the chicken, sweet potatoes, and brussels sprouts. Add crumbled goat cheese on top, along with the mozzarella. Sprinkle the chives on top of the whole dish. 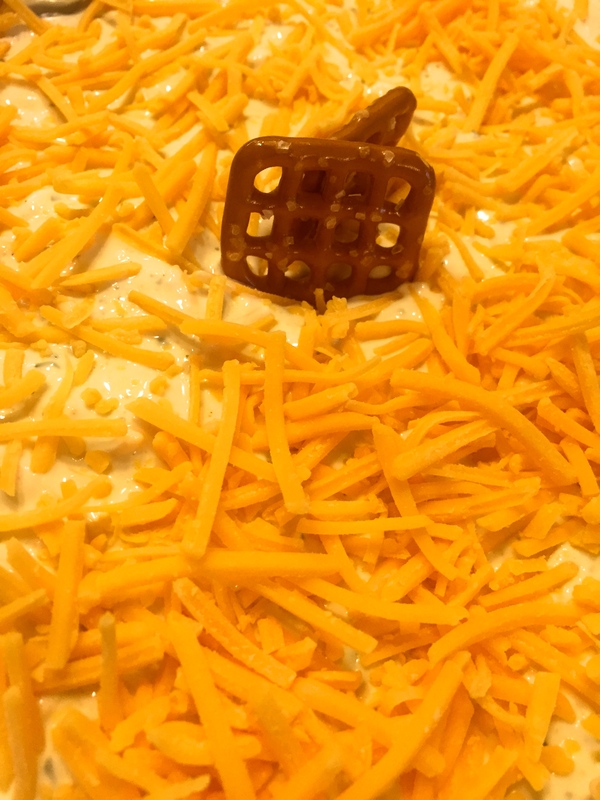 Bake your casserole for 15 minutes, or until the cheese has melted, at 350 degrees. 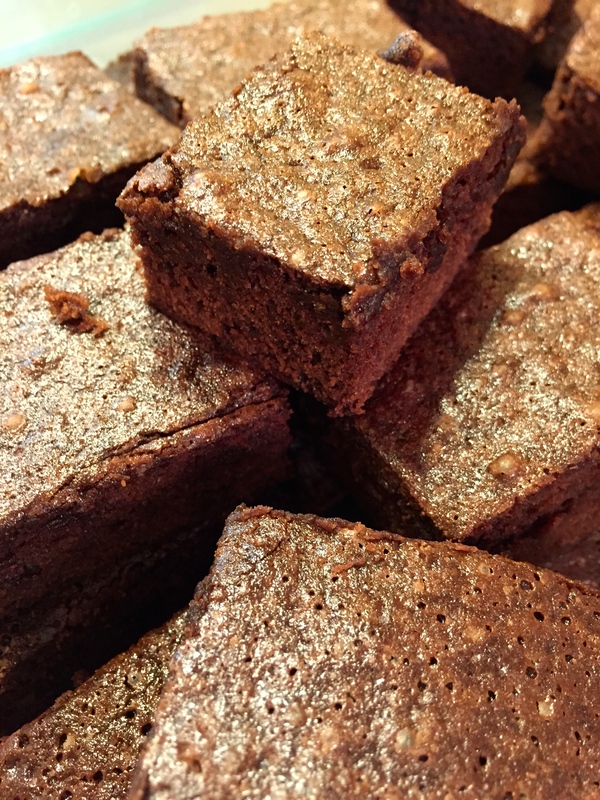 These no-fuss chocolate brownies get a subtle kick of spice that brings this all-time favorite dessert to the next level. Position an oven rack in the lower third of the oven. Preheat the oven to 350 degrees F. Spray a 9-by-13-inch ceramic or glass baking dish with vegetable oil cooking spray. Line the dish with a 15-inch-square piece of parchment paper, allowing the excess paper to overhang the sides. Spray the parchment paper with vegetable oil cooking spray. Blend together the brownie mix, eggs, vegetable oil, 1/4 cup water, cinnamon and cayenne pepper in a large bowl. Beat the mixture for 1 minute using an electric hand mixer on medium speed. Pour the batter into the prepared pan. Bake until a toothpick inserted about 1-inch from the edge of the baking dish comes out clean, 25 to 27 minutes. Transfer the pan to a wire rack to cool for 1 hour. Lift the brownie layer from the pan, using the excess paper for handles. Run a thin spatula underneath the brownie layer to loosen it from the parchment paper. Cut into squares and serve. Easiest soup recipe ever. Only 15 minutes to make and I love soup on cold winter nights! 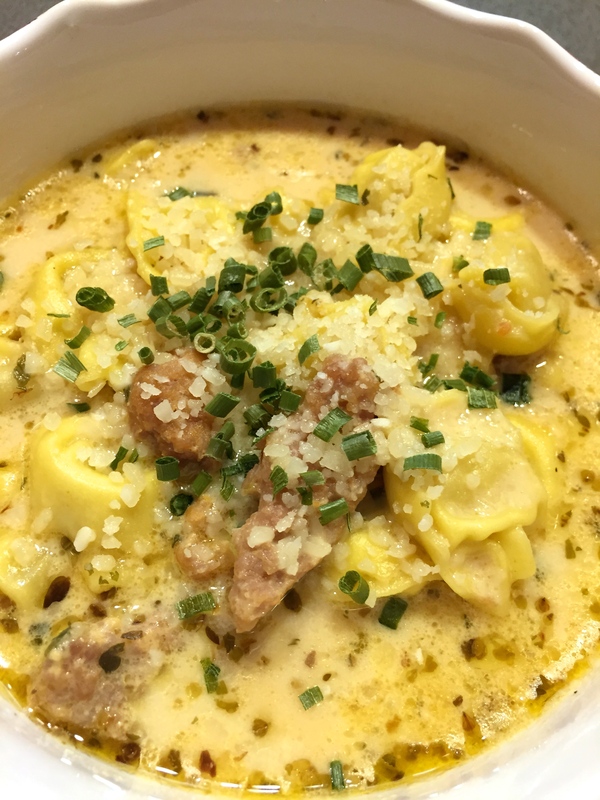 Put all ingredients except tortellini in medium size sauce pan and bring to boil. Allow to simmer about 15 minutes. Add tortellini and allow to boil according to pasta package instructions. Sprinkle with freshly grated parmesan cheese and serve.